Many call it the best ball joint on the market, and after installing a set on our Mighty RZR project, a 2017 Polaris RZR S900, we tend to agree. We’ll have to see how they hold up but based on what we’ve read and conversations from trusted friends within the UTV racing industry we’re pretty confident that we do indeed have the best ball joints money can buy on the front of our machine. 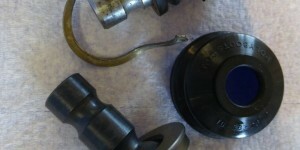 Toque the cap to 150 ft-lb and the jam nut to 80 ft-lb. Ball joints are such critical components. 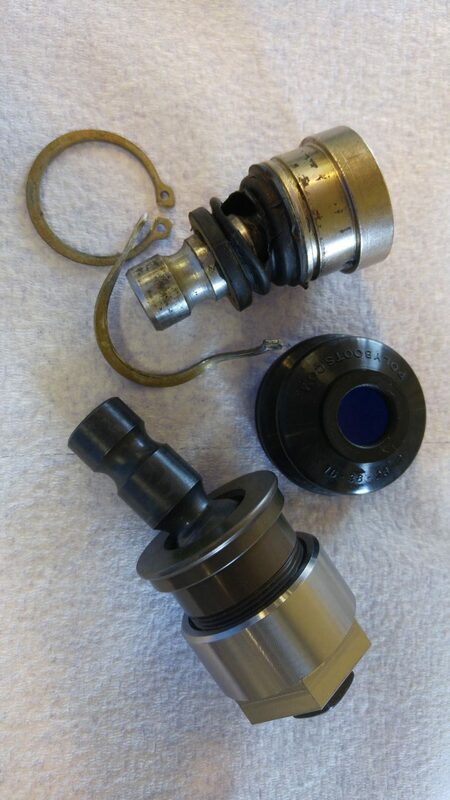 As you can see here, the worn stock ball joint is no match for Keller’s much-improved-on system. The improvement is incredible, just holding a stock ball joint along with a Keller confirms that the new parts were needed and that we chose correctly. Check out our video review above to get the details and see how installing Keller’s much improved solution to a very vulnerable component went for us. 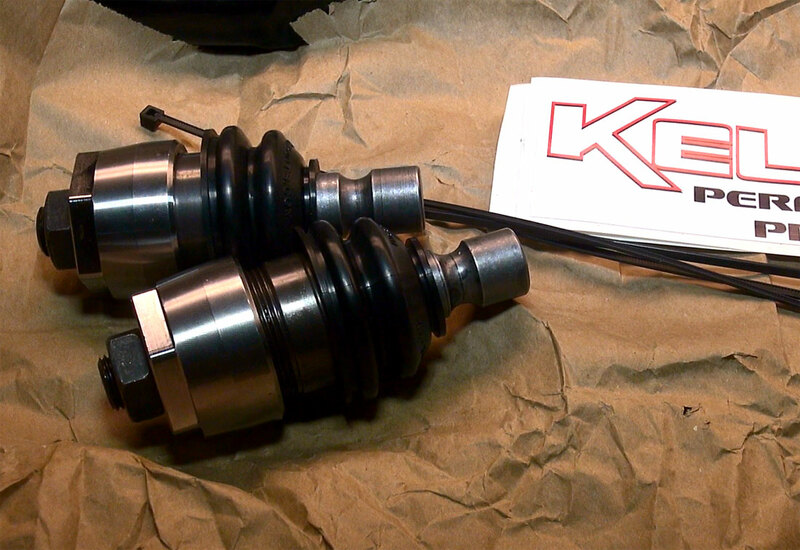 The Keller Performance Products Ball Joint is very different than typical ball joints of old. 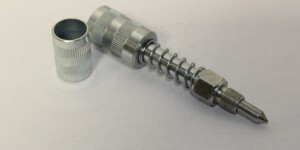 The Keller system uses a hardened body and stem. Two big beefy halves thread together instead of the old one piece pressed in design. The stem is built from American made 4340 and hardened for maximum strength and wear resistance. It’s also adjustable and greasable with a replacement boot. When was the last time you saw a rebuild-able ball joint? This one sure is. 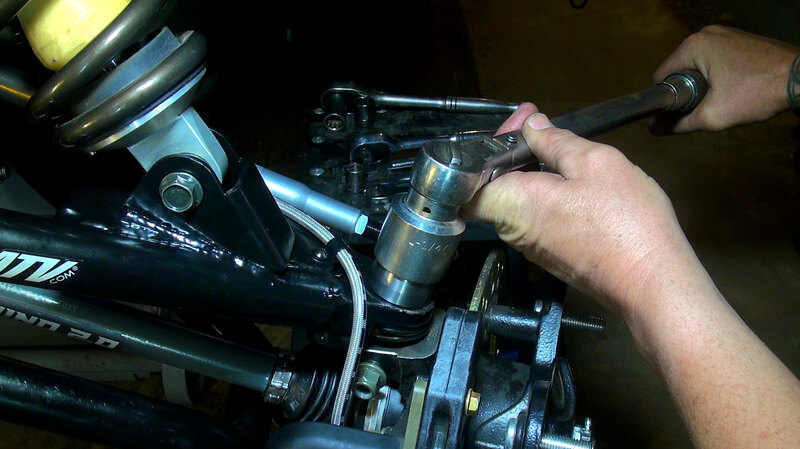 Each ball joint is backed by a 90 day warranty through Keller Performance Products. Break one and they’ll send you a replacement. 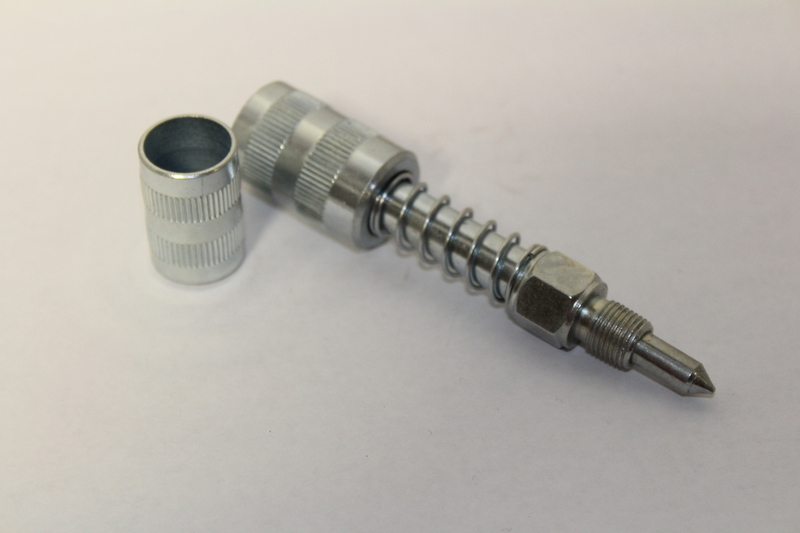 This handy tool, a needle point tip that you attach to your grease gun, is needed to help fill the boot with grease. 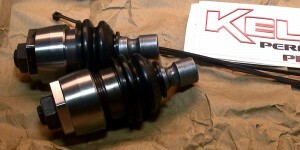 Click over to kellerperformanceproducts.com to learn more and order a set for your machine. Check out some of the other key upgrades we’ve made to Project Mighty RZR including; Super ATV A-Arms, Super ATV Tie Rod Kit, Super ATV Rhino 2.0 Axles, Double E Racing Shocks, Garage Products Bushings, Wide Open Design Roll Cage among many other better-than-stock improvements.